Confucius was born at a time of philosophical creativity around the end of the Spring and Autumn Period (770–476 BC) during the reign of the Zhou Dynasty (1045–255 BC). 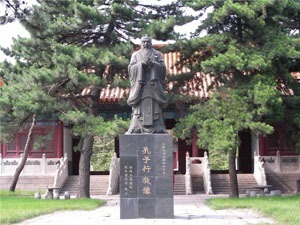 Confucius has been the most popular and influential of all the ancient teachers of the region. Confucius was born in an era of philosophical creativity. The rulers and subjects of the various regions sought for knowledge and power in uncertain times. He tried to teach ancient truth in a time of political confusion and crisis as the Zhou Dynasty was falling from power. Dozens of regions of their empire transformed to be independent kingdoms and tried to conquer each other. The kings and rulers battled for survival and dominance in the region, and they wanted to know what to do. They sought for knowledge about how best to rule their kingdoms and survive in the dangerous times. Making a mistake might mean their deaths or the destruction of their kingdom, so there was a demand for knowledge, political strategies, and power. Courts and rulers employed traveling teachers to teach or be officials. Confucius was both an itinerant teacher and an official. Sacrifice activity is a reverent and memorial action toward great or beloved people who are deceased. On Confucius&apos; birthday anniversary, there will be many activities for commemorating Confucius in Confucian Temples all over China. People will arrange performances and sacrifice animals and wine to show their respect and love to Confucius. The most famous and biggest centers for celebrating Confucius&apos; birthday are Qufu International Confucius Culture Festival and Quzhou Confucius Sacrifice Ceremony. Qufu International Confucius Culture Festival began in September 1989. This festival mainly focuses on worshipping Confucius and carrying forward traditional Confucian culture. It covers culture, art, study, tourism, scientific activity, and business trade. Qufu is the birth place of Confucius. The opening ceremony will be held in Qufu Confucian Temple, which was the first temple to worship Confucius. Since 2004, the Confucius Sacrifice Ceremony has beenheld in Quzhou Confucian Temple, which is one of the two family temples of the Kong Family. Kong is the family name of Confucius. 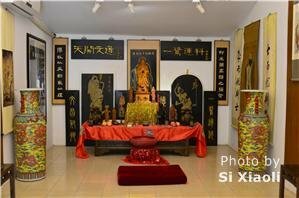 The main activities include the spectacular Sacrifice Ceremony and a Confucianism forum. Directors of the Confucius Institutes from other countries will attend this ceremony. 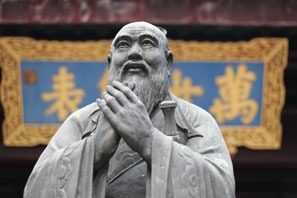 Confucius was born at on opportune time to be an influential philosopher. In Chinese history, the dominant rulers generally squelch or discourage philosophical expression that contradicts their own. When there were many separate small powers, different schools of thought could survive in the land at the same time. At the time that Confucius was born, there were hundreds of other teachers, philosophers, and religious leaders promoting various ideas. Probably hundreds of philosophical schools existed in the dozens of kingdoms in the region that each had their own historical and ethnic backgrounds. His era was called the era of the “One Hundred Schools of Thought.” The period lasted until the end of the Warring States Period when the Qin Empire conquered the region to impose a standard philosophy and religion. It isn&apos;t exactly clear when Confucius was born, but it was sometime around the end of the Spring and Autumn Period. His name was Kong Qiu, and he is said to have been born in 551 in Qufu in the State of Lu, that is now in Shandong Province. Scholars do not agree on the dating of his birth or the details of his early life however. His mother was said to have been a concubine who left to avoid the mistreatment from the wife. She and Confucius were very poor, but he studied hard. Some accounts say that his mother died when he was 17. Then he married three years later. He left his family to become an itinerant teacher. There are differing accounts about his adult life as well. In some accounts, Confucius is said to have worked as a governor of a town in the Lu Kingdom in 501 BC. If the dating of his birth above is true, this would mean that he was about 50 years old at that time. The kingdom fell into civil war. Different powerful clans battled each other. Confucius is said to have sought a righteous solution during very unrighteous violence. In 497 BC, he left the Kingdom of Lu. It is said that he visited various small kingdoms such as Wei, Cai, Chen, and Song. His political ideas were not implemented. Some accounts said that when he was 68 years old, he taught his philosophy to about 68 or 77 disciples. He lived to be about 72. Some accounts say that he died about the year 479 BC. It is said that he was buried in a cemetery called Kong Lin. Inside the Confucius temple, you can see calligraphy with some of his great thoughts on it. In the Analects, a book of his pithy sayings, it is recorded that he said that he didn&apos;t invent any of his philosophy. He was only transmitting the ancient teachings to his disciples. He wanted them to read the ancient texts. He said he wanted to teach about the Mandate of Heaven. This important belief of his political philosophy was that Heaven would choose a person and his clan to rule. He mixed his theology with his ideas of politics. So he encouraged everybody to behave as they should in whatever role they had in their society. He said that if they did so, there would be harmony and prosperity and happiness. 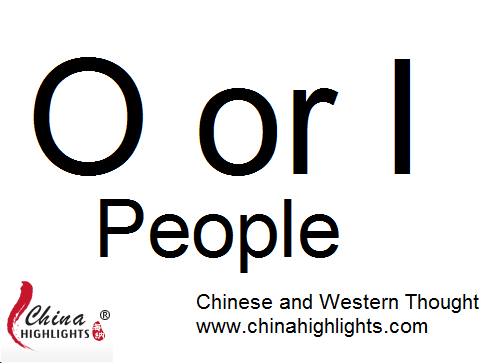 Zi Gong (a disciple of Confucius) asked: "Is there any one word that could guide a person throughout life?" The Master replied: "How about shu? Never impose on others what you would not choose for yourself." With coarse rice to eat, with water to drink, and my crooked arm for a pillow—is not joy to be found therein? Riches and honors acquired through unrighteousness are to me as the floating clouds." Knowledge is recognizing what you know and what you don&apos;t.
Comparing this last statement with the Dao De Jing&apos;s…. 道可道，非常道。A way that can be the Way, is not the usual way. 名可名，非常名。A name that can be a name, is an unusual name. His disciples went around the Warring States and spread these teachings. The Analects of Confucius is a book of pithy sayings attributed to Confucius and recorded by his disciples. 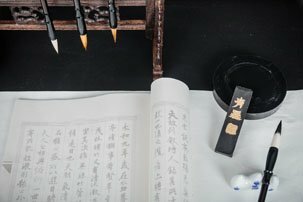 For foreigners who want a taste of this Confucian philosophy, reading the Analects of Confucius is a good introduction since the statements are usually simple and like common sense. It is thought that after he died, two disciples became influential philosophers who introduced important conflicting ideas that it isn&apos;t recorded that Confucius taught himself. These were Mencius (孟子, 371–289) and Xun Zi (荀子, c300–237 BC). 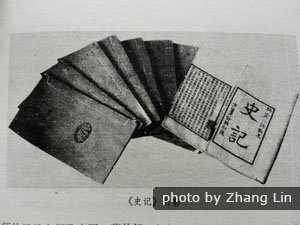 Mencius is said to be the writer of the Confucian text called Mencius that is an important collection of philosophical dialogues. He may have been a disciple of Confucius&apos; own grandson. One of his basic teachings was that human nature is basically good but needs training, and he bases a lot of his philosophical theory on this axiom. This variety of Confucian philosophy was most widely accepted in later eras and by Neo-Confucianists. Xun Zi taught that human nature is evil, and it is the antithesis of what Mencius taught. These ideas engendered an enduring philosophical stream and religion called Confucianism. Beijing Confucian Temple Beijing National Sacrifice Ceremonies of Yuan, Ming, and Qing Dynasty were held in this temple. Shanghai Confucian Temple Shanghai It&apos;s famous for stone-carving clusters buildings.